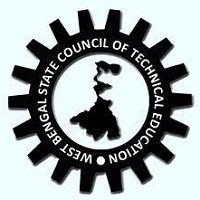 To offer admission to first-year polytechnic programs, the West Bengal State Council of Technical Education will conduct JEXPO (West Bengal Polytechnic Entrance Exam) and to admission to second-year Polytechnic programs, VOCLET will be conducted. These programs will be available at various colleges and institutions of the West Bengal state. Read the following article to get all the important information about JEXPO 2019 like Eligibility Criteria, Important Dates, Exam Pattern, Admit and Result etc. JEXPO 2019 Application Process has started. Click Here to apply online for JEXPO. Candidates can apply for JEXPO 2019, who have either cleared class 10th with minimum 35% marks in aggregate or appearing for the same. Candidates can apply, who have cleared 10+2 exam from WBSCT&VE&SD (VED) [erstwhile WBSCVET) or completed two years duration ITI after completion of Madhyamik or its equivalent exam. Appearing candidates are also welcome to apply. Candidates may obtain OMR Application Forms & Information Brochure from all Government Sponsored, Government, and Self-financed polytechnics having affiliation with the WBSCT&VE&SD (erstwhile WBSCTE), or Government ITI s including PTP run Government and Private ITI s located across West Bengal state and one centre located in Tripura or can obtain the online application form from its official website. The application fee for online application form is Rs.225/- in case of Kanyashree enrollees. The application fee for online application form is Rs.250/- in case of Kanyashree enrollees. There will be two papers in the exam. First Paper- Mathematics & Second Paper- Physics and Chemistry. Questions’ Type: Multiple Choice Questions. Both the papers will be 100 marks for each. Mode of Answering Questions: OMR Answer Sheet. The total number of papers: Two. First Paper- Mathematics, Physics & Chemistry and Second Paper: Mechanics & Computer. The reservation of seats for JEXPO for various categories is given below in the table. Candidates can obtain the e-admit card from the official website of WBSCTE i.e. http://www.webscte.org/. Download your admit card from the official website. Take its printout of the same and it will be just to show while appearing in the exam. Candidates can check the result only in online mode from its official admission portal. The result can be checked only by entering the enrollment number or name. Do not forget to get the printout of your result for future reference. All shortlisted candidates will further have to appear in the counselling process, after the declaration of the result. The counselling process is to be commenced in the month of June 2019. The mode of counselling process is online only. Candidates may fill their choice of colleges and programs in online mode only. Students can prepare from these subjects for the JEXPO 2018 examination. WB Polytechnic syllabus will comprise of various subjects such as Physics, Chemistry, and Mathematics. Newton’s Laws of Motion, Work, Power, Energy, Change of state, Matter & Energy, Rest and Motion, System of measurements & Measuring devices, Displacement, Speed, velocity and Acceleration, Light, Sound, Structure of Atom, Properties of gases-pressure and temperature and many others. Identification of matter: Physical and Chemical properties, Chemical reaction and chemical equation, Physical & chemical change, Separation of Mixtures, Solution, Oxygen, Oxides, acids, base and salts, Water, Fuel (Carbonaceous), Periodic Table, Chemical Bonding, Nitrogen, Ammonia, Carbon, Electronic theory of Oxidation & reduction and many others. The mathematics section will contain different topics like Arithmetic, Algebra, Geometry, Menstruation, Trigonometry and many others. 12th class mark sheet & passing certificate (if applicable). Admit card & rank card.